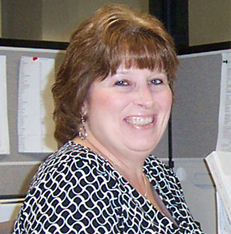 After a nine year career with Hilb Rogal and Hobbs, Cindy Martone came to V.F. McNeil in 2007 when HRH made the decision to relocate. She currently works as a Personal Lines Account Manager and has brought twenty-nine years experience in the insurance industry to V.F. McNeil. Cindy holds an Accredited Customer Service Representative designation as well as Certified Insurance Service Representative designation. Cindy was a member of the New Haven Association of Insurance Women for over six years. She devoted much of her time to educational and networking opportunities and developing industry alliances through this association. Her knowledge, experience and involvement have been a true asset to V.F. McNeil. Cindy lives in Branford, Connecticut with her husband Sonny and their son Joseph. She is very involved in her community and son’s school system. She recently assumed the position of treasurer for her son’s wrestling team and jokingly refers to herself as his personal chauffeur. During her personal time she enjoys networking with her fellow past and present insurance colleagues.